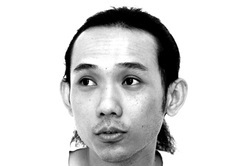 Goh Lee Kwang is one of the most exciting Malaysia sound/new media artists in the scene. He has traveled around the world creating sound installations, sonic-visual interactive installation, single/multichannel video, appeared in electro-acoustic improvised music performances as well as worked on radio broadcasts and soundtracks for theater/dance/India films. His work has been showcased at festival, galleries and privates spaces in Europe & Asia. Neo Hup Hiang studied in National Taiwan Normal University, Taipei majoring in composition under Prof. Fan-Long Ko. During his studies in Taiwan, his compositions such as Tempus… for Soprano and Ensemble, Fantasie for Pipa Solo, Est-ce la vie en ville? for Piano Quartet, Autumn Mourning for Oboe and three string instruments etc. were performed. In 2008, he was commissioned by Taipei Chamber Singers to compose 3 Chinese songs for mixed choir. Neo remains active in his homeland. His composition, Finale for three percussionists, was performed by ‘Beat Percussion Group’ at The Actors Studio in 2012. He also participated in the Chin Yong Music Festival, presenting 4 Chinese songs for solo voice. Another commissioned work, Autumn Thoughts, was premiered by Johor Bahru Chamber Choir in Johor Bahru. Tazul Tajuddin has lived in Malaysia, USA and UK and received his doctorate from Sussex University. 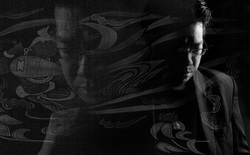 His music such as the Arabesque¸ Tenunan, Mediasi Ukiran and Gamelbati cycles has been inspired by Asian cultures, geometrical patterns and designs, and Western European art combined with multi-cultural contemporary ideals. He has written about 50 works and has received almost 30 composition awards, prizes, commissions, grants and funding internationally includes Takemitsu, Lutoslawski, JSCM, New Millenium awards. His works has been performed in more than 15 countries in Europe, Asia, North America and Australasia and broadcast on BBC Radio3 UK, NHK Japan, WDR3 Germany among others. He has given composition lectures at major universities in England and New Zealand. In 2010 as artistic director, he initiated, conducted and curated the first Malaysian Composers Concert Series to promote students and young composers and performers to perform new works. Currently he is Associate Professor in Composition and Head of composition program at Universiti Teknologi MARA and President for the Society of Malaysian Contemporary Composers (SMCC). His music has enjoyed wonderful reviews in the UK, Malaysia, Canada, USA, Germany, Hong Kong and Japan. Teh Tze Siew studied composition under Liu Ban Hong. She obtained her Diploma, majoring in composition, from the Malaysian Institute of Arts. She then furthered her studies in composition with Professor Rao Yu Yan in Xi’an Music Conservatoire, China and obtained her Bachelor Degree in Music Composition in 1994. Teh has been teaching harmony, music theory and piano in China for more than 10 years. Her stay in China has inspired her to combine both the eastern and western traditions in her compositions. 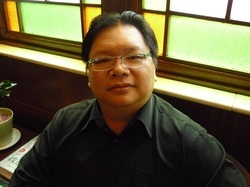 Tze Siew was also the finalist of the “MPO Forum for Malaysian Composers 2”, in 2007. Wong graduated from Dpt. of Music in Malaysian Institute of Art (MIA). He attended Xi’an Conservatory of Music under tutelage of Prof Rao Yu-Yan and obtained Degree in Music, majoring in composition. He completed Piano Variations – “Variatons on a Theme of Malay Folk Song” during his period abroad. 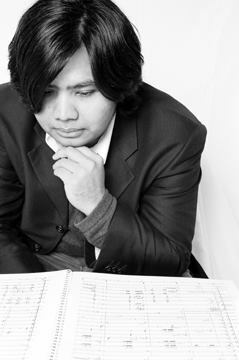 Wong has since serviced as Choir & Symphonic band conductor, and actively worked as a music composer and arranger in Malaysia. He was invited to participate in “Forumplus” organized by Malaysia’s Music Lover Philharmonic Orchestra in 2010. In the same year, 2 percussion compositions were commissioned and premiered by Best Percussion Group. 2011, Butterfly Lovers for Music, Dance, Video Art were commissioned by Malaysian famous dancer Lee Swee Keong. In 2012, he was invited to participate in “Hark ! the songs of homeland” organized by Chin Yong Music Festival. His music has been performed throughout Australasia. 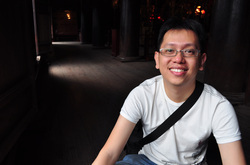 Wong is currently a lecturer of Malaysia Institute of Arts. Wong Chee Yean graduated from Indiana University, USA, under the tutelage of Mr Emile Naoumoff, who was a student of the great pedagogue Nadia Boulanger. As an untrained composer, two of his orchestral works - “Six Sketches” and “Triptych”, were performed by the Malaysian Philharmonic Orchestra; and another one - “On Huygen’s Aria”, commissioned by Joost Flach for the High Winds Ensemble, was published in Germany by Floricor Edition in 2010. 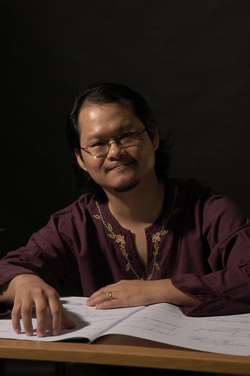 Wong also arranged the Mozart 25th Piano Concerto, and performed it as a soloist at the Georgetown Festival of Penang in 2011 as well as the 4th International Chamber Music Festival at Jogjakarta, Indonesia in 2013. 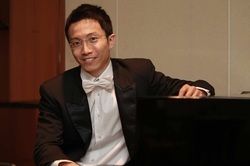 As a lecturer, Wong has taught piano as well as theory of music at a number of tertiary institutions such as Universiti Malaya and Universiti Putera Malaysia. Two of his private students were awarded full scholarships to study in the UK.